Another great weekends shooting down in Wexford. The lads in Castlebridge ran a tight schedule all weekend and amazingly, on their 7 lane (lovely and warm lanes too!!) range managed to squeeze 45 people through almost 250 matches. They kept everyone fed and watered and the craic was had. With this being the first National since the New Year, many thought scores may have been down as people were out of practice – but they could not have been more wrong. There were PBs all over the place. 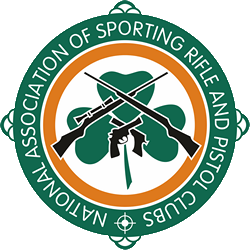 A highlight was East Coast Shooting Clubs Sean McElwain shooting a 285.008 in Smallbore Gallery Rifle 25m Precision – beating his own previous best by 10 points!! He said he was going to try his Silhouette rifle and I think we will be seeing a bit more of it on the ranges. Castlebridge themselves were heading for what looked like a clean sweep in Open Smallbore Pistol 25m Precision – holding the top six positions on the board all weekend – until at the 11th hour, when Courtloughs Mark McCandless managed to shoot his way into fourth place, not quite in the medals – but spoiling a great Castlebridge streak. Castlebridges own Frank Brophy was on great form with the Centrefire Pistol taking the Precision event from Hilltops John Phelan. Not PBs for either of them – but great shooting nonetheless. The finals will be held in MNSCI on March 9th and 10th – but if last weekend was anything to go by there is going to be some very stiff competition indeed. Our Next Outing will be MNSCI again at the end of March – more on that to follow.